Before you leave your home for a long vacation make sure you turn of as many water sources as possible. This customer left the country and a week later their house sitter found that their washing machine has suddenly begin to overflow. 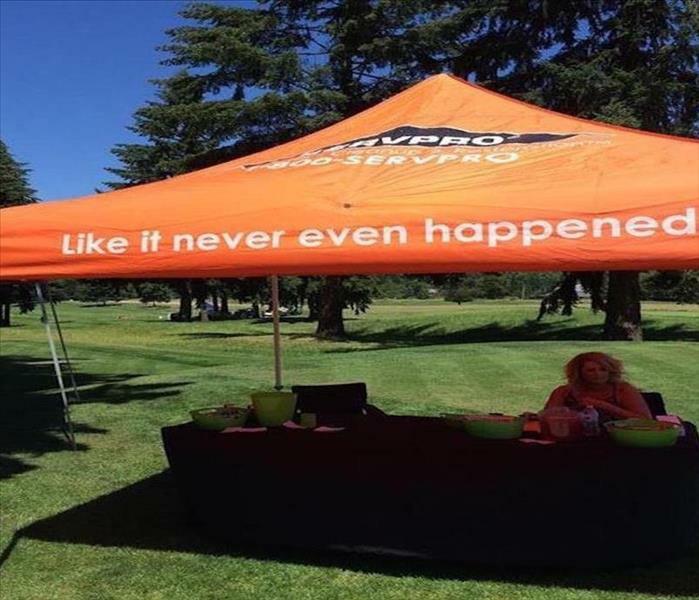 Call us at 503-648-8513 so we can make it look "Like it never even happened." We are Here To Help make make sure your home is restored to preloss condition call us at 503-648-8513. 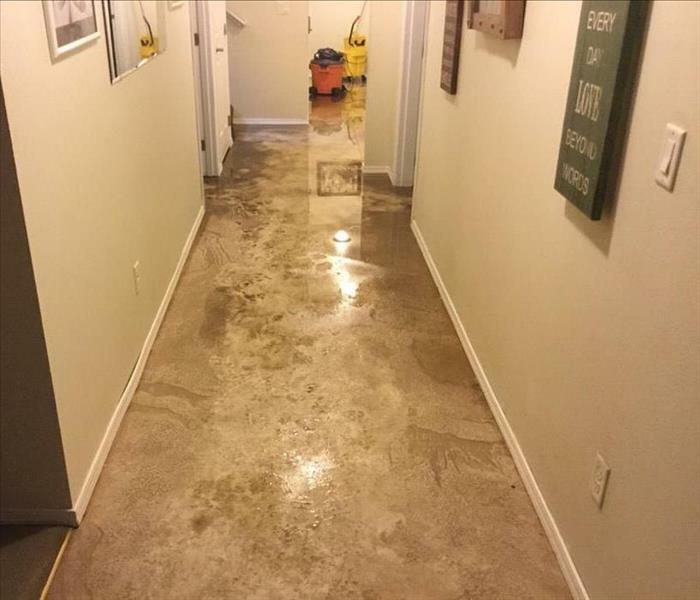 When your home or business suffers a water damage, understanding what type of water you are dealing with is crucial to ensure the proper clean up. Clean water: usually from a broken pipe, or rainwater. Gray water: gray water is slightly contaminated water. Gray water allows bacteria to grow, making the water hazardous. Black water: black water is highly contaminated and filled with fungi, bacteria, chemicals, and more. Black water is typically caused by sewage. Black water should always be handled by a trained professional. 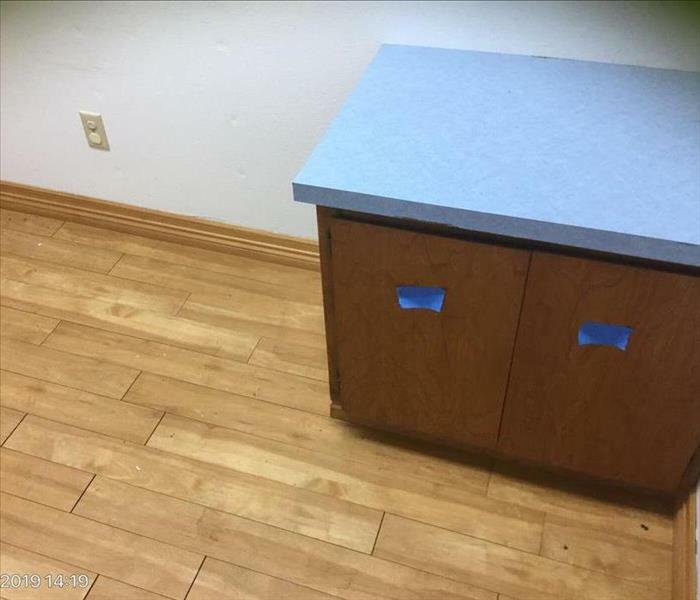 From carpet to tile, we can dry most flooring. However, hardwood and laminate flooring is some of the hardest flooring to dry. While there are exceptions to this rule, generally once wood flooring has been saturated it is un-restorable. As you see in this photo, we could not have saved this wood. In circumstances where we do believe we can save the flooring we use extraction mats. These mats are like any other door mat Except for the fact that they have a vacuum sealed extractor access. We hook the mats up to our extractor and within minutes the moisture begins to rise to the surface. Travel to damaged homes or businesses and supports the cleanup and restoration of water and mold damaged property. SERVPRO duckling is over this weather! The first half of the week it rained, then it snowed, and not it is overcast and warm. Our poor little ducky does not know whether he should fly south or just stick around. The rapid change in whether has him (and the rest of us) confused and exhausted. 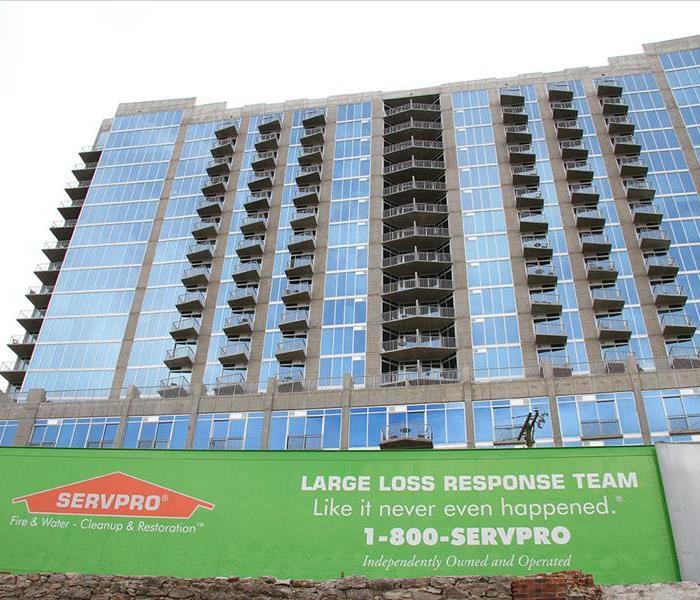 Here at SERVPRO we ensure that we are consistently quick and efficient. Whether that means large losses or small losses. We make our goal to have any structure dry within 6 days of setting up our equipment! We are dedicated to responding immediately when you contact us. A fast response lessens the damage. limit further damages and reduces the cost. Our professional make disasters, "Like it never even happened." This fire was caused by a short circuit from an Ipod that was plugged into a speaker over night. It put the business out of service for nearly 3 months. You always want to make sure you properly close own shop before locking up for the night. Turn all lights off expect for security lights. Check for frayed wires, over use of outlets, and dangers scenarios such as wires near water. 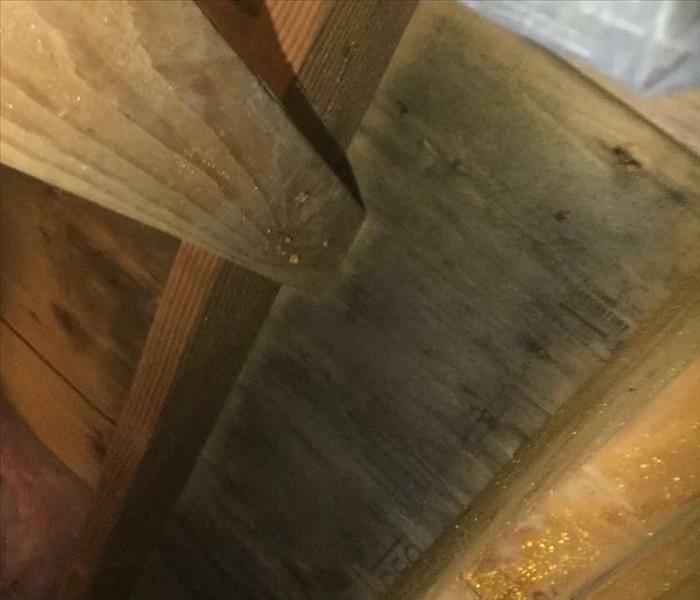 This water loss was caused due to roof repairs being completed in an unexpected rain storm. 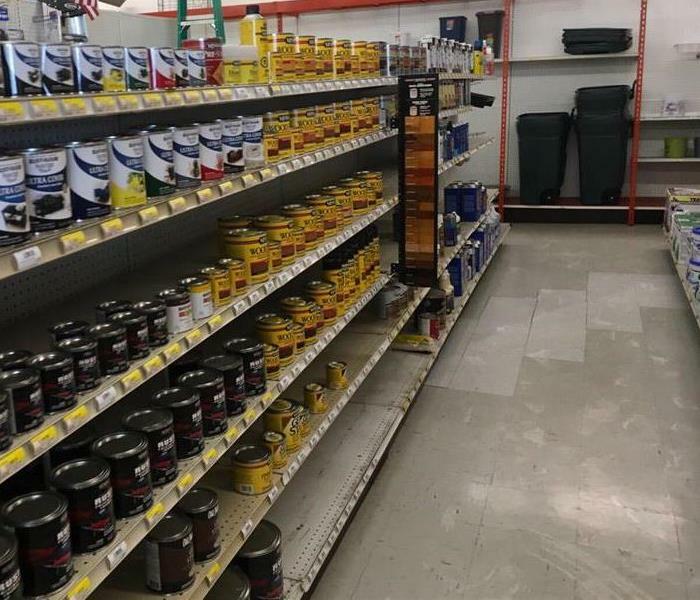 No matter how many tarps, or how much Flex Seal was used, the water continued to come through different openings in the roof. Never race to the finish on home projects when bad weather is nearing. Always give yourself time to complete these projects, or may be costing you a lot more time, money, and effort, to fix the damaged areas. This loss was caused by a toilet overflow in an upstairs bathroom. It affected almost the entire house. 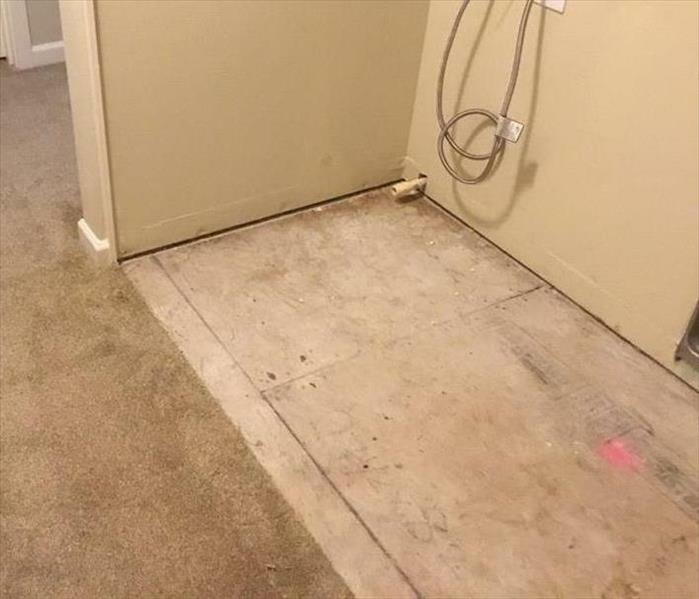 As you can see in the picture when the technician stepped into the closet the saturation of the carpet really shows. This loss was caused when a huge storm came in off the coast of Oregon. This was a 15 unit resort and of all the units this one was affected the worst. With sea debris, water, and sand all affecting the home. 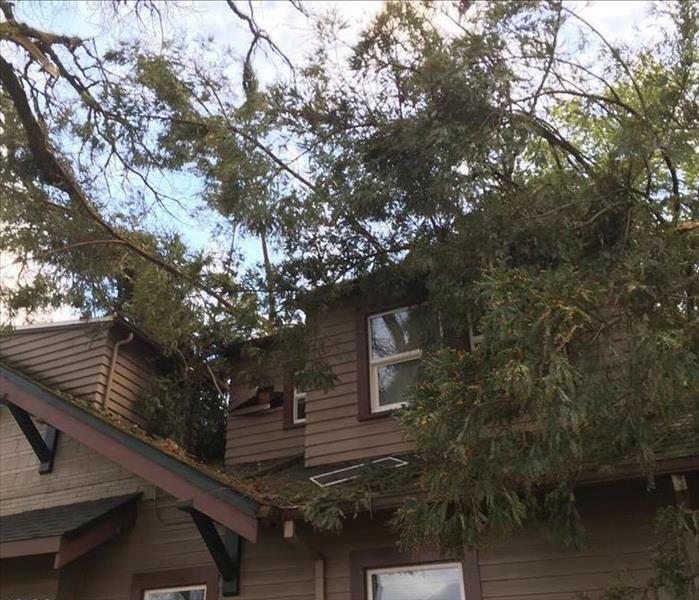 This tree feel on this home during a large wind and rain storm that hit the pacific northwest. With the help of a local tree service we were able to get this tree off the home and restored as if it never even happened. 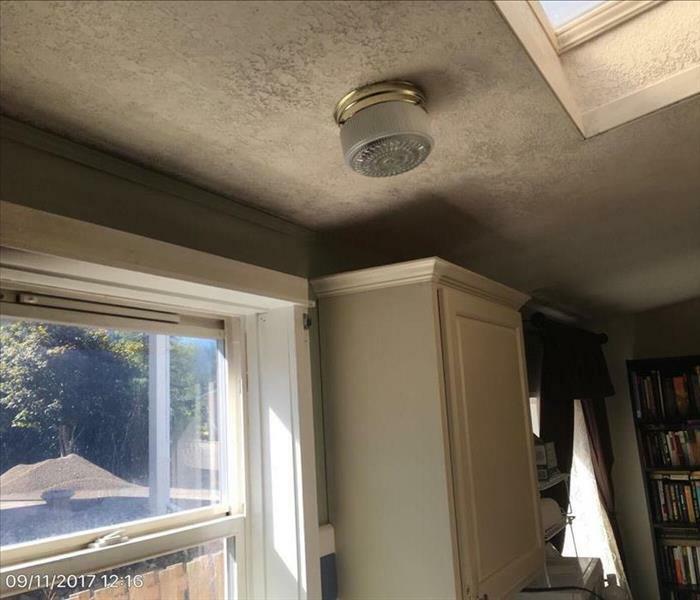 This mold was discovered by a home inspection prior to selling. 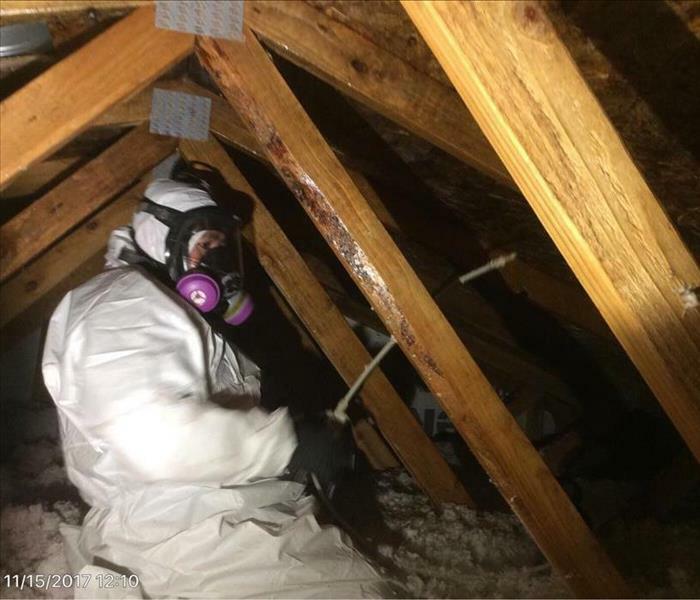 We found that the attic and crawlspace were affected by black mold. The growth started in the crawl space and worked its way through walls and into the crawl space. 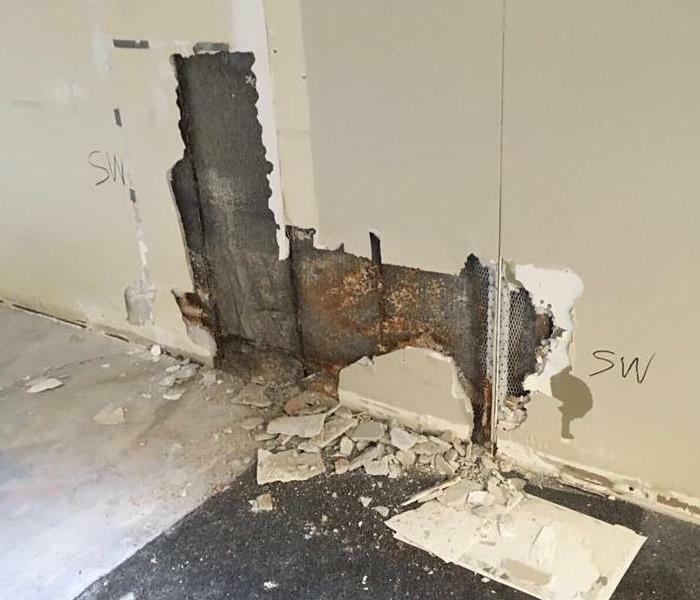 This mold growth was caused by prolonged leaking in an abandoned office building. The entire building was affected in small sections. The customers were getting ready to begin using this building as an office again so we came in to make this building livable! 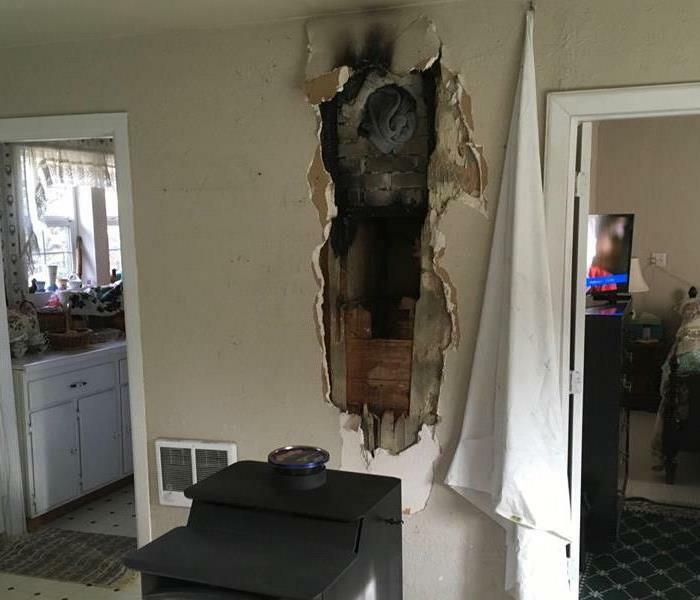 This chimney had a leak and caused a fire within the walls that then caused damage to continue throughout the home in the form of soot and smoke. This fire affected the majority of the home. There were tons of contents scattered around the entryways and floors. This is a good example of why having clean and clear walkways is beneficial. When an emergency arises, it is easier for emergency personnel as well as clean up crews to maneuver throughout the property. This fire started at a laundromat and affected 2 other businesses. This hardware store is on the other side of the building from the laundromat but affected the hardware store with tons of soot and smoke. 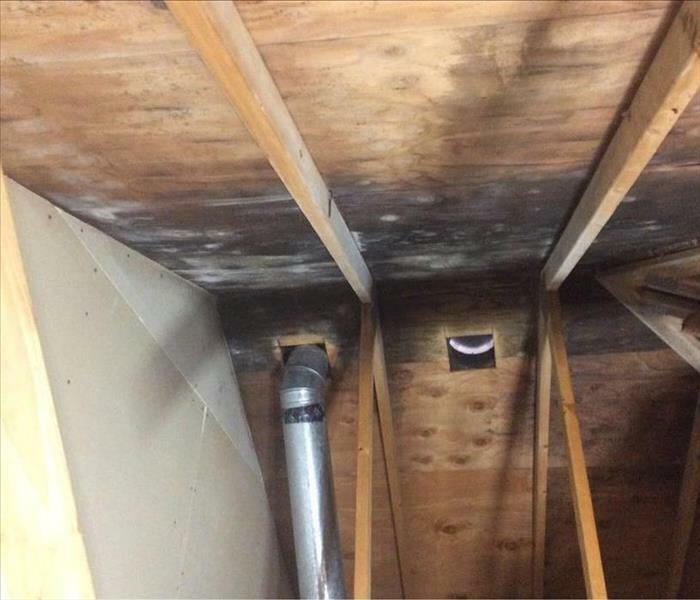 This large mold job was caused by prolonged water seeping through concrete in a basement. It was about 10,000 square feet of affected area that our crew demoed within 5 days. The Oregon coast has been getting storms with high winds causing large waves to occur. 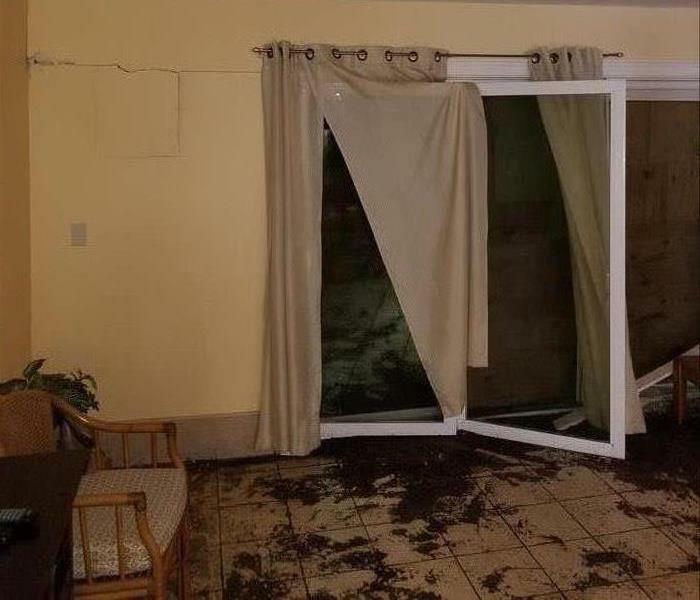 The entire bottom floor of this condo was hit by a wave due to the storm. All of the sliding doors has been blown out. The wave caused the framing to break and cave in. Our crew spent an entire week doing the necessary demo to begin the drying process. A cap came off a line under the kitchen sink and has flooded the customers home. The structure was drying to our standards except for the garage ceiling, do to the amount of water the ceiling was holding the crew removed the ceiling so we could continue to properly dry the structure. Customer had a toilet overflow that occur on the second floor that ran down and affected the first floor. Drywall had to be removed in the entry since we would not have been able to dry the drywall that is behind the counter tops without removing them. A toilet overflow that ran for an unknown amount of days, down to the fully finished basement. Part the ceiling had fallen down due to the weight of the water. Our crew had to be fully gut the basement in order to dry out the structure. Adult Foster Home had a flood into their basement, water came in at the staircase to outside due to the heavy rain. Our crew were able to extract the water from the basement and dry out the structure within a few days. 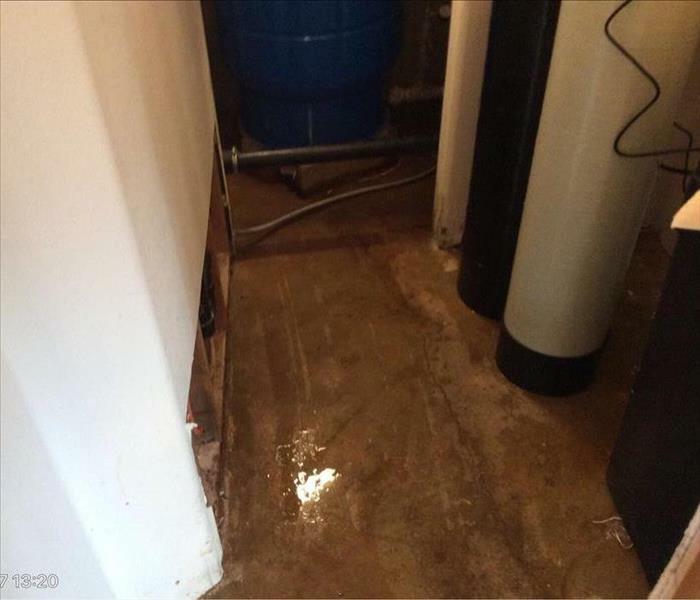 Customer's basement flooded during the heavy rains this last weekend. 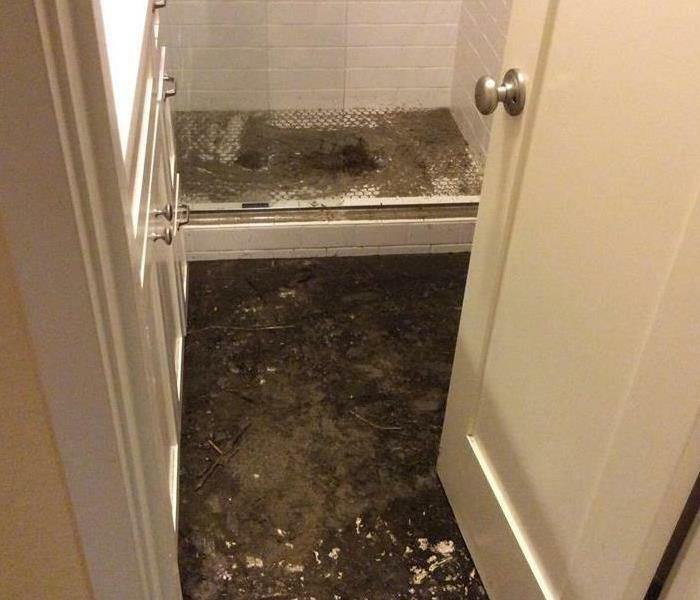 The bathroom did had raw sewage flood due to the heavy rains. There was approximately 8" of standing water across the basement. 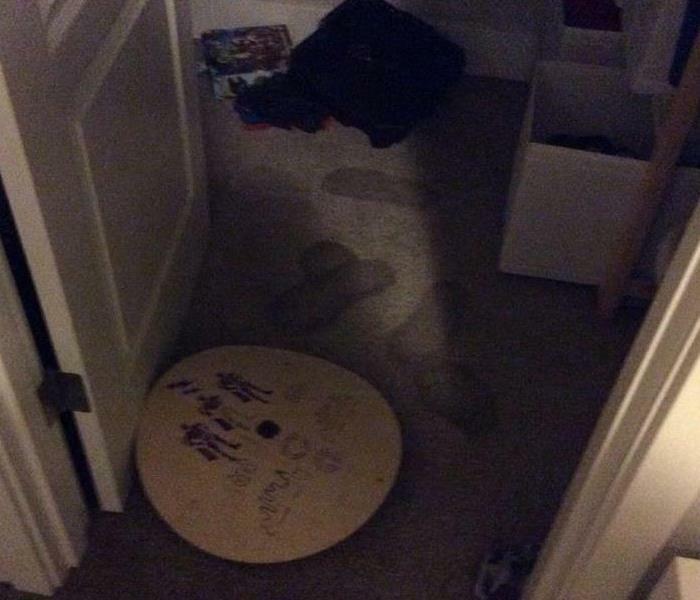 Customer woke up to about 2 inches of standing water in his bedroom. The home was built at the bottom of a hill causing the flood water to affect the bedroom. Our professionals were able to extract the standing water and dry the structure quickly and effectively. Customer had lost power to their home causing the sump pump to be inactive while the basement started to flood. When our crew arrived on site they extracted all of the water that was caused by the storm. 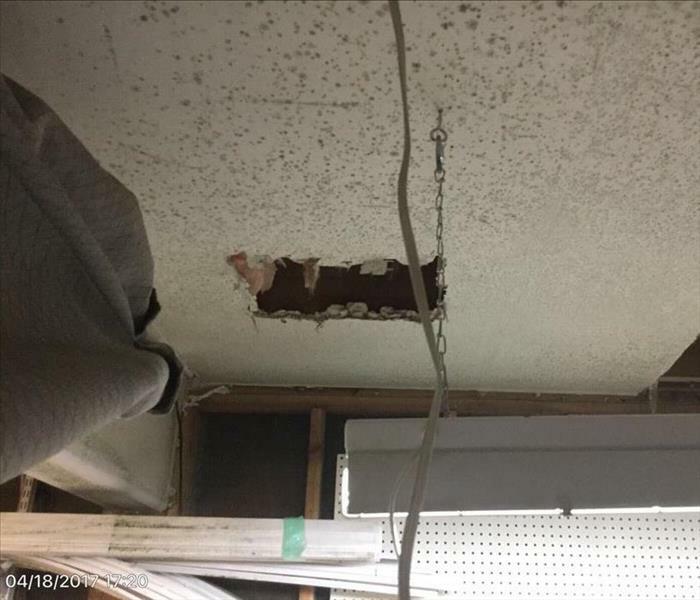 A customer had a water leak in the wall that had been leaking for an unknown amount of time. 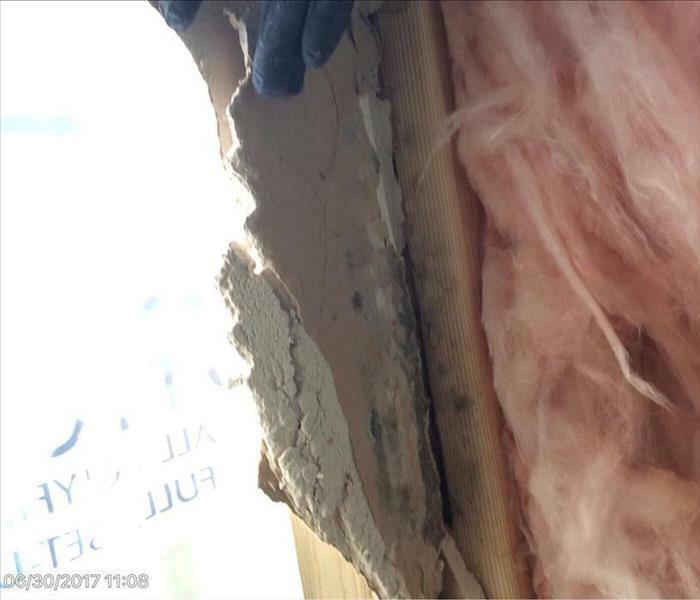 After removing the affected drywall our crew found microbial growth on the framing and drywall. Once our professional found microbial growth, we take the proper steps to contain the affected area and properly remove the mold. We were called in to inspect the mold in a residential attic. come out and remove the mold. Throughout the entire attic, there was mold on the framing which would need to be taken care of. 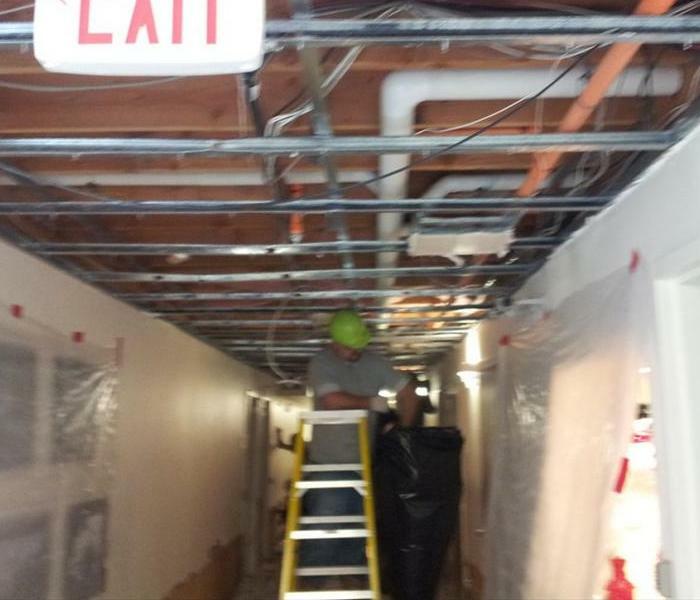 Our crews were able to take care of this mold remediation quickly. Customer selling their home found mold in the attic. A customers' realtor suggested that they get the microbial growth removed from the attic so it doesn't slow down the selling process. Our crew with the proper equipment and product where able to remove all of the microbial growth, allowing the customer to continue sell the property. A hot water line under house between garage and crawlspace rupture mold in the garage. Hot water is perfect for microbial growth. Our crew set up containment and removed all of the mold growth. 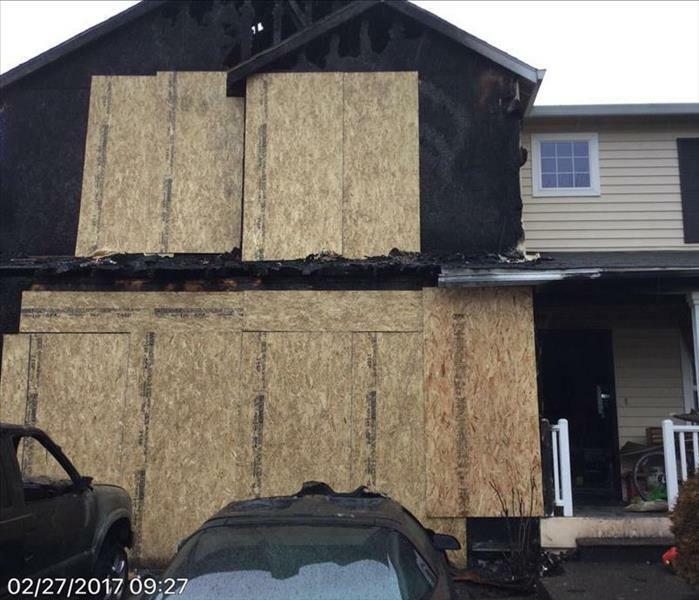 A customer was working on a vehicle causing a spark of flame the burned out of control and caught the house on fire. The entire house was affected. Our professionals packed up and remove all of the contents in the house. Back at our warehouse our crew took all of the contents that was removed from the customers house and cleaned then used our ozone room to remove all of the odor. A manufactured house in Seaside had smoke damage that affected through out the entire home due to unattended food on the stove. 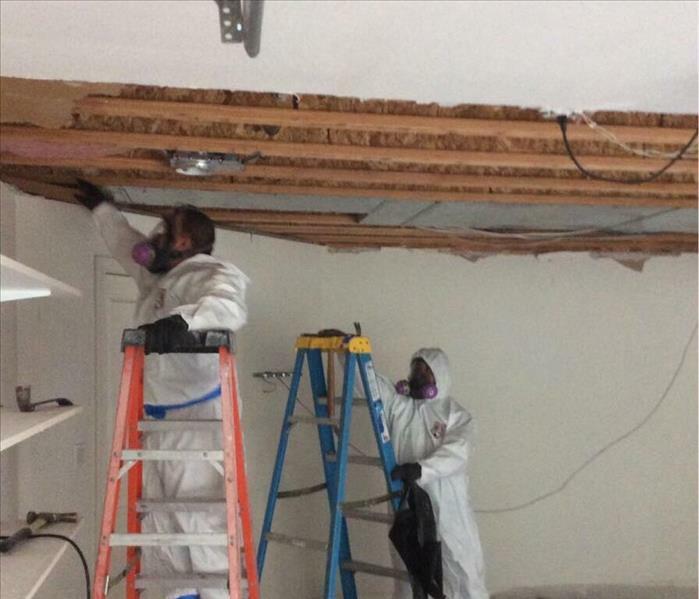 Our professionals got to work removing all of the soot and deodorized the structures. 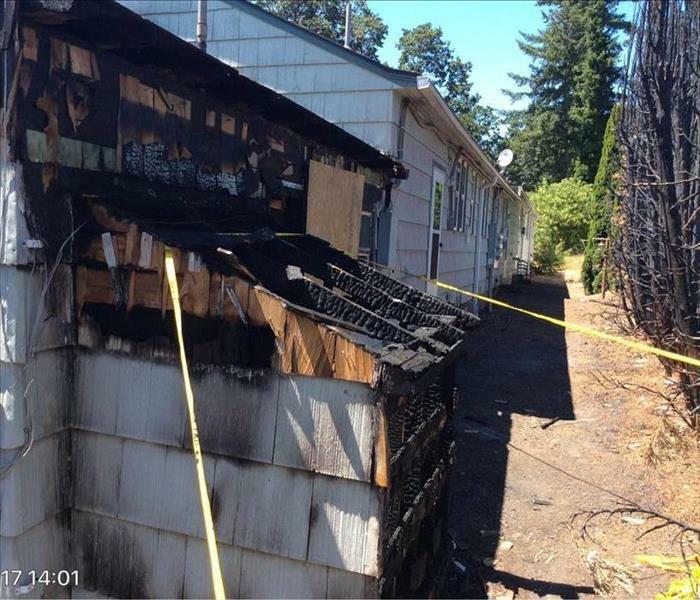 A fire outside of this unit had caused the exterior of the structure to be heavily burnt. The fire caused the entire interior of the unit to be affected. 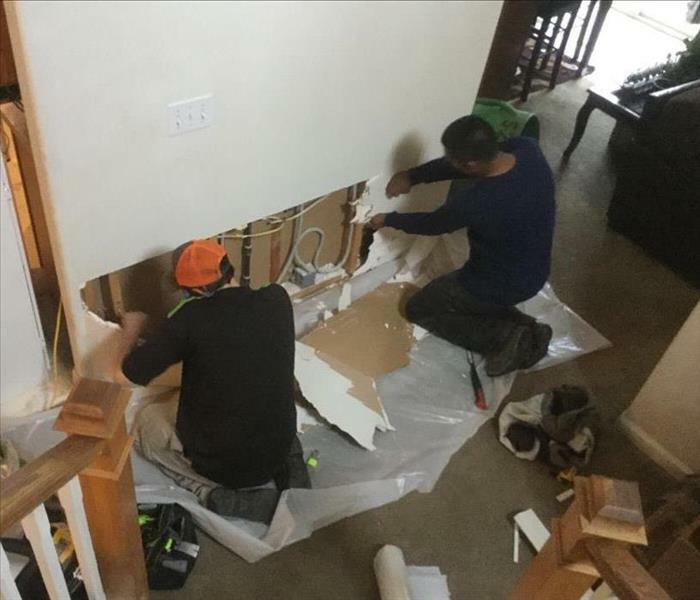 Our professionals came in and gutted the entire interior so the rebuild crew could come in and start replacing all of the walls, floor and ceiling. 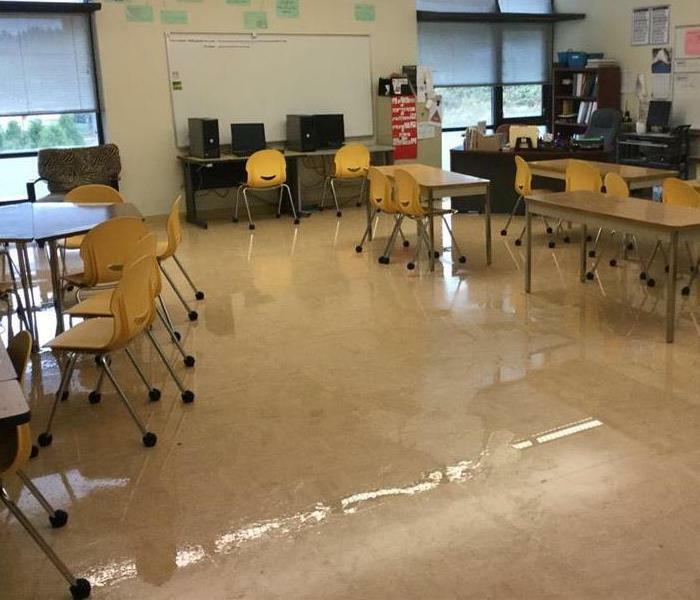 A high school water fountain had broke on the second floor and ran through out the night. 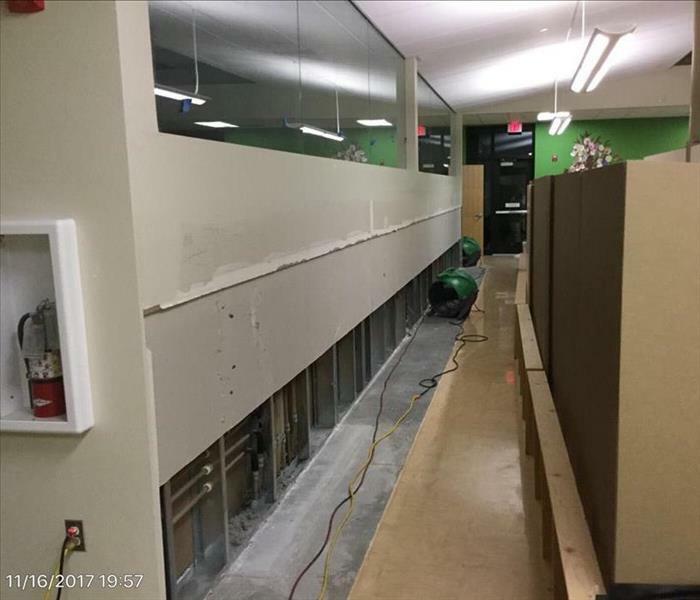 Due to the walls having metal channels and having insulation behind each wall, we were required to remove a four foot flood cut one the first layer of drywall and a two food flood cut on the second layer. Once removed we extracted the water that was still in the channels. 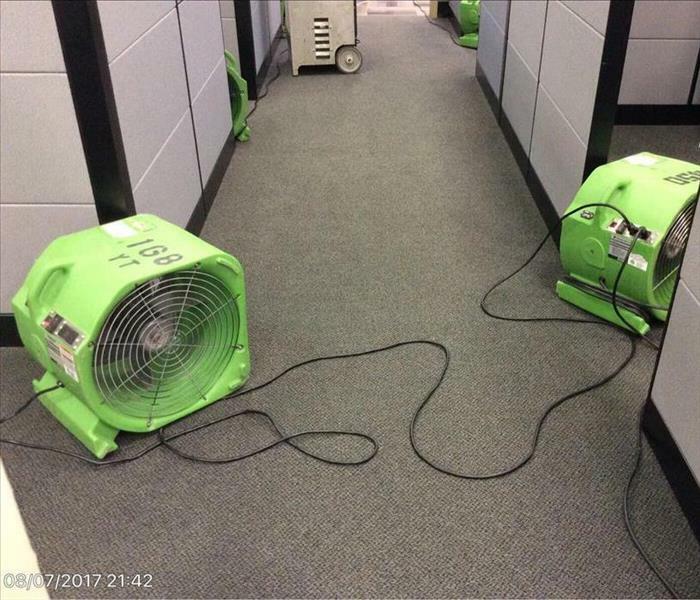 Our air movers placed out of the way so this business can still operate. 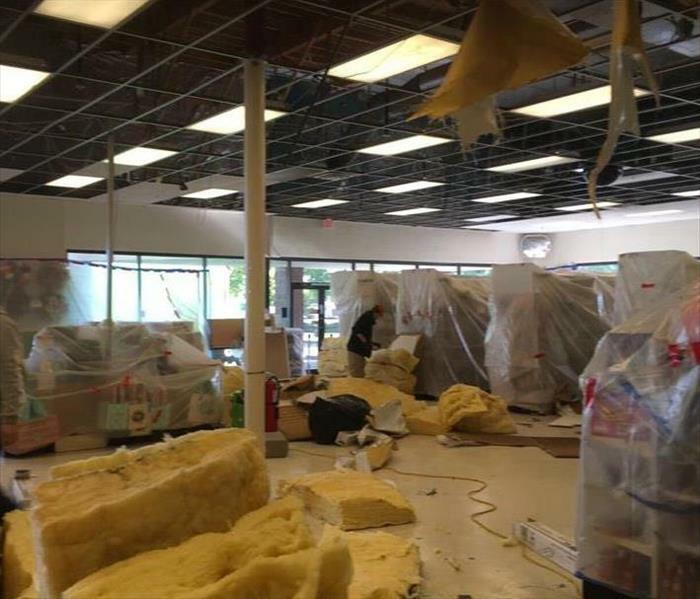 Next door to this office a business has been under remodeling and the construction crew had accidentally broke a water line while working. Our professionals were able to get the water extracted quickly and get the structure dried in a timely matter. Our drying equipment placed to effectively dry the structure. 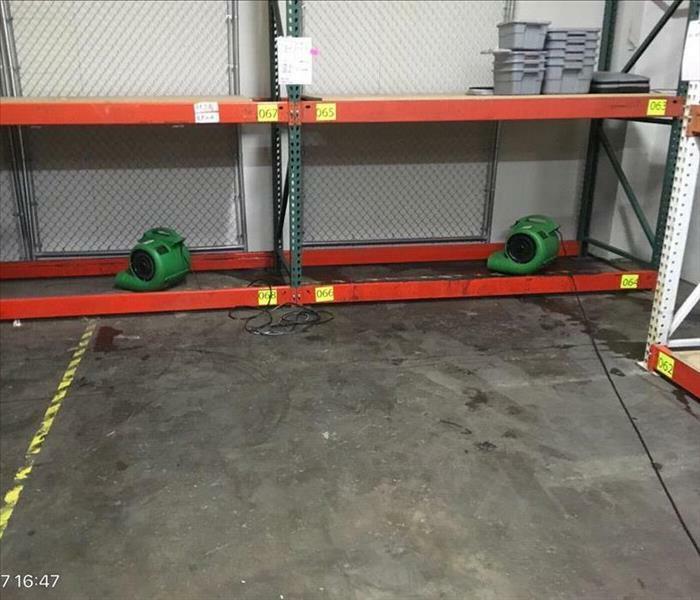 A business in Portland had a water loss due to backed up rain on the roof, our crew was able to move contents and extract any standing water. Our professionals were able to extract, set up equipment and dry the structure within five days. We are grateful to have been able to sponsor and be a part of a charity golf event that surrounds professionals in the property management and maintenance industry. Thanks for letting us take part! 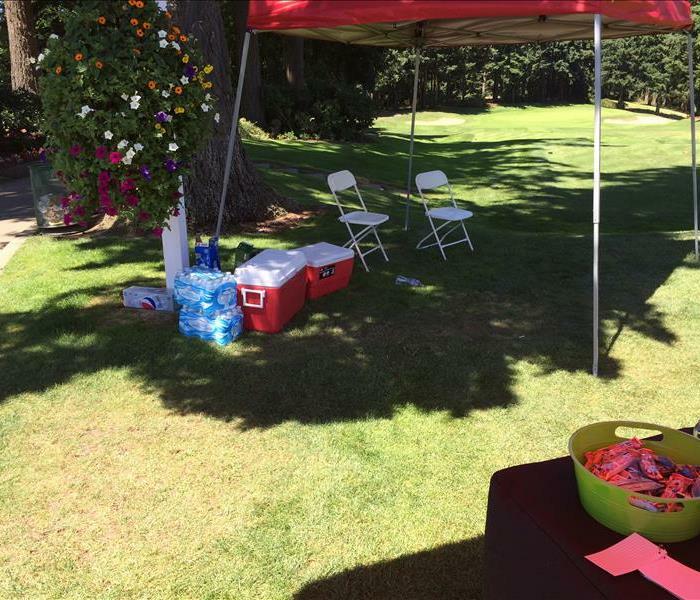 SERVPRO regularly takes part in various trade association and charity events. We really enjoy being a supporting partner in the property management, maintenance and restoration industry. We look forward to supporting these folks every year for decades to come. We arrive on scene typically after a catastrophic event has occurred. Being able to see our customers and all those around them address these events through to a happy ending is very rewarding. This House fire just outside of Hillsboro was devastating and we are so glad everyone made it out safely. You can see from the amount of damage represented why fires can be so difficult and scary. The right tools, people and know how is a requirement for anyone trying to make sense of the aftermath of a house fire. 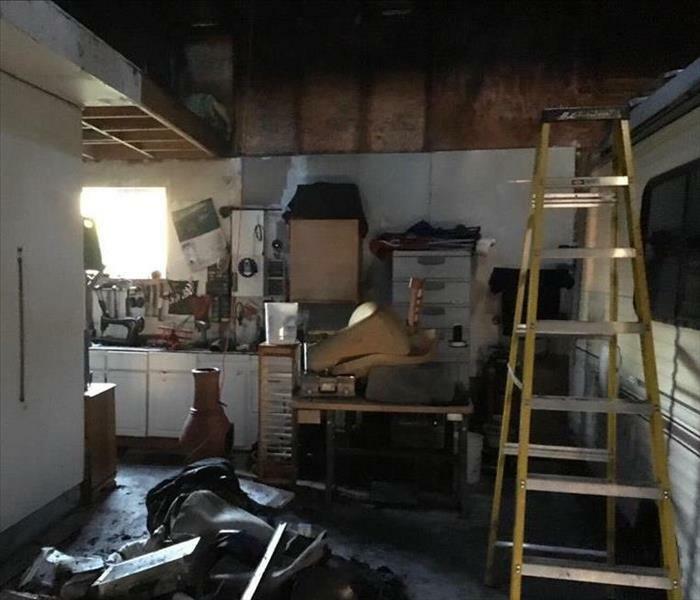 While many of the items in this area of the home sitting on shelves and higher in elevation were totally damaged, much of it was able to be salvaged, cleaned and returned to the homeowner in as good or better condition than pre-loss. This is a vacation property and the water ran for a few days before the owners were notified. Structural Drying is Science. That's why it is critical to use IICRC Certified Companies only. 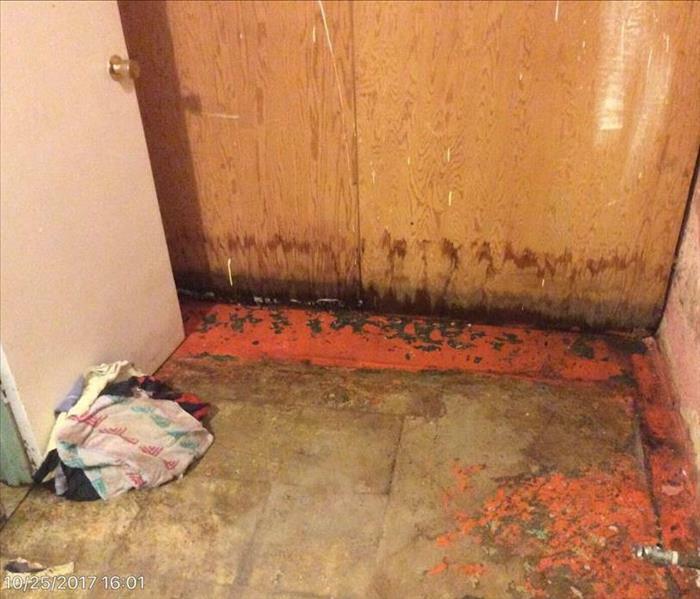 SERVPRO was able to mitigate this loss and repair the property in a short period of time. This allowed the homeowners to begin enjoying their beautiful home as soon as possible. 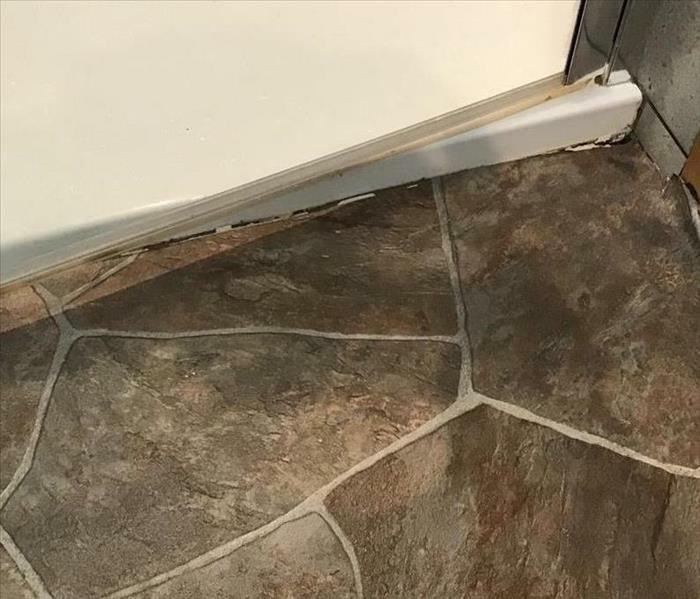 The Ceramic tile was able to be dried in place which reduced the rebuild time and saved the insurance company thousands of dollars. 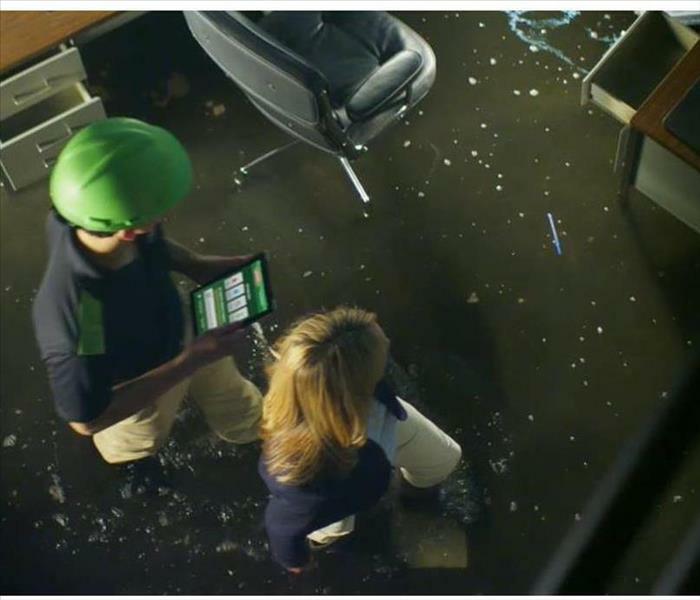 Our expertise at SERVPRO allows us to that more often than our competitors can. Although this fire started on the exterior of the building it didn't take long for the smoke to consume the massive attic. Which then triggered the automatic sprinkler system that soaked over 50% of the interior. Amazingly, the remaining 50% was open for business the following day. This meant that several visitors that had booked their hotel stay earlier did not need to reschedule or change their vacation plans. 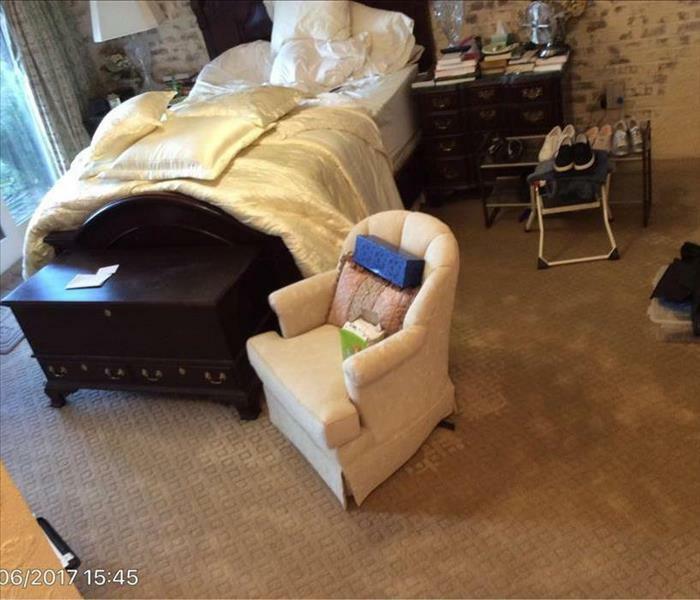 We have been able to help this luxury accommodations company out with several other property losses they have experienced since this one. It is sad to see it happens but we are grateful to be the choice to help them when needed. It was an amazing site to see. 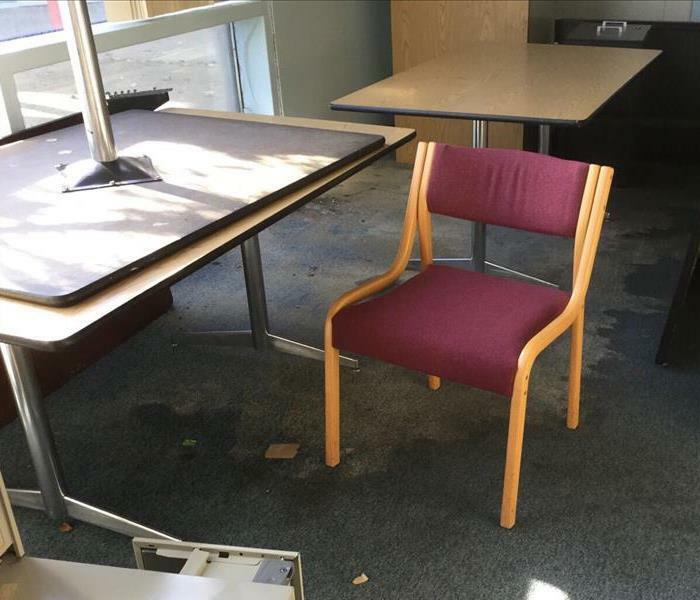 A fire started on the second floor triggering the sprinkler system. 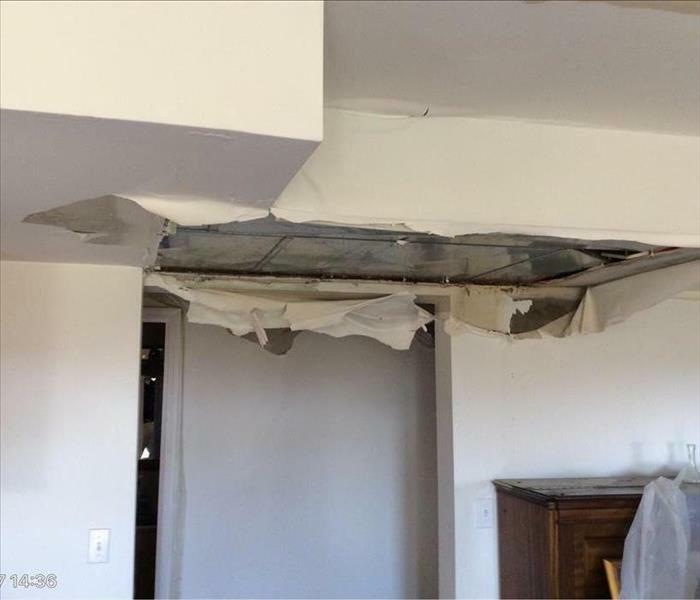 2 Total floors were damaged and we were able to keep every tenant accept 1 in their unit during the repair process. This facility is for folks that have special needs and they require assistance from the staff regularly. 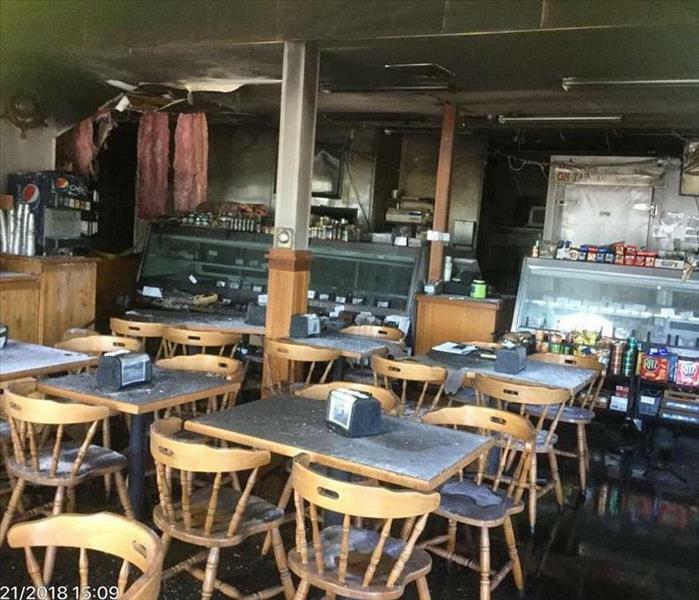 We are so grateful they chose us to be the restoration company to trust to keep them, their tenants and their facility on track when a fire derailed it. This was a very rewarding project for us and we are very happy we could assist.